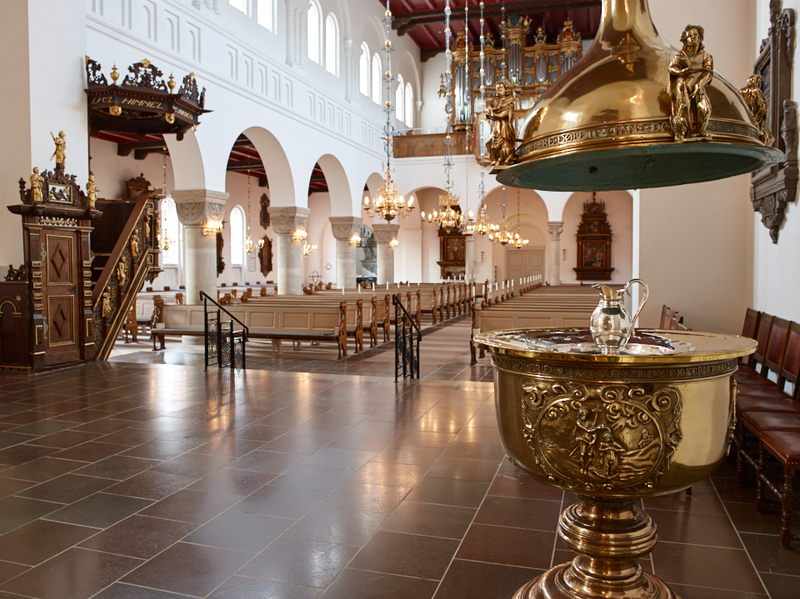 Vor Frue Kirke in Aalborg was originally a part of the Benedictine abbey from around 1100. The only remains are the stone carvings in the west gable. The church is open every day and you are welcome to visit the church every weekday between 10.00 and 14.00 and Saturday between 10.00 and 12.00 The present building is from 1878, when the original church was torn down as it was decrepit. 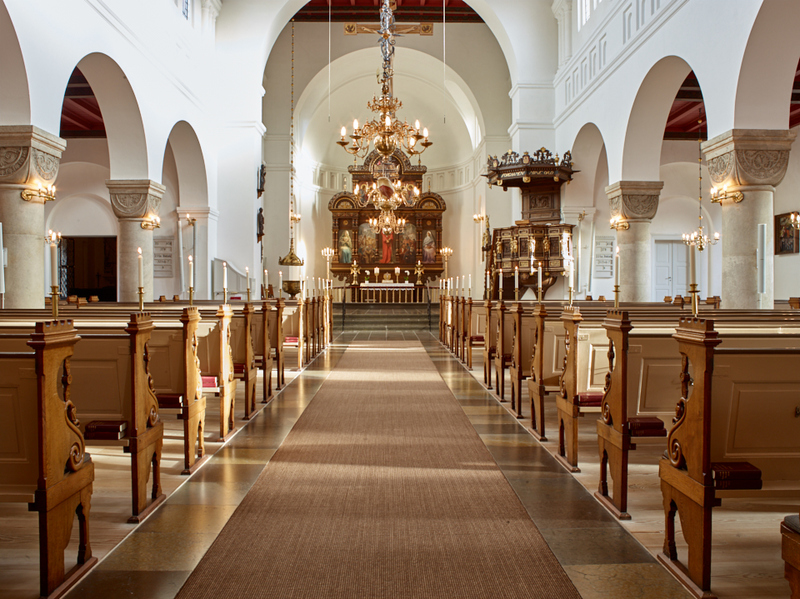 The church inspired by the Romanesque Revival is located in the midst of the old Aalborg, between old buildings. When the church was built in the beginning of the 1100s, it was called 'Mariakirken' and it was part of the Benedictine abbey in the eastern part of town. In the western gable of the church, you can see a beautiful granite portal from the original church. This granite portal is considered the oldest work of art in Aalborg. The tower was maintained but it was faced with the same stone as the church was built of. The same goes for the Scheelske chapel. 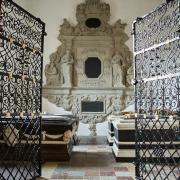 The Pentzske chapel was rebuilt and the remains – a beautiful epitaph from 1615 from the third chapel – was placed here. A huge part of the fixture comes from the original church, except the altar which burned in 1902 and was replaced in 1908. The church has room for about 500 people.